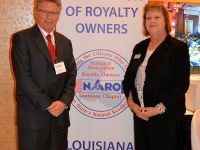 The mission of NARO is to encourage and promote exploration and production of minerals in the United States while preserving, protecting, advancing and representing the interests and rights of mineral and royalty owners through education, advocacy and assistance to our members, to NARO chapter organizations, to government bodies and to the public. 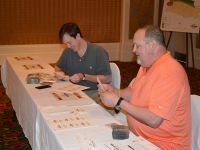 Amelia Resources announced today that it has sold 40,000 net acres of newly acquired leases to an undisclosed U.S.-based buyer. The acreage block is located in the core of the Louisiana-Mississippi (LAMS) Stack Play on the eastern side of the Louisiana Austin Chalk trend. NEW ORLEANS--(BUSINESS WIRE)--Feb 11, 2019--Amelia Resources LLC announces the offering of 400,000 net acres in the Louisiana-Mississippi Austin Chalk and LAMS Stack Play at the NAPE Summit. .S. liquefied natural gas (LNG) exports, primarily heading to Asian markets, will continue to experience an uptick in export volumes, thanks in no small part to production levels in the Haynesville Shale formation that underlies large parts of southwest Arkansas, northwest Louisiana and east Texas. The developer of a liquefied natural gas export facility in southwest Louisiana won approval for a controversial tax break that could reach more than $2 billion over 10 years, potentially the largest exemption awarded in the state’s history. The Louisiana Board of Commerce and Industry voted in favor of the exemption for Driftwood LNG LLC, a subsidiary of Tellurian Inc., on Friday. A spokesman for Gov. John Bel Edwards said he will sign off on it. (Bloomberg) -- America turned into a net oil exporter last week, breaking almost 75 years of continued dependence on foreign oil and marking a pivotal -- even if likely brief -- moment toward what U.S. President Donald Trump has branded as "energy independence." U.S. energy firms this week cut oil rigs for the first time in the three weeks as crude prices have fallen to their lowest in over a year. Drillers cut three oil rigs in the week to Nov. 21, bringing the total count down to 885, General Electric Co’s (GE.N) Baker Hughes energy services firm said in its closely followed report on Wednesday. Aethon III, a unit of Dallas private investment firm Aethon Energy Management LLC, agreed to buy Haynesville-Cotton Valley natural gas assets from QEP Resources Inc. of Denver.